Analysis Of Commercial Warehouses in the United States #Infographic ~ Visualistan '+g+"
Warehouses are a massive and important part of American business, across a number of different industries - but do you know just how important they are? Shelving.com, a leading provider of industrial storage and shelving, has assembled this infographic to show how widespread and instrumental warehouses are to many different industries in America. 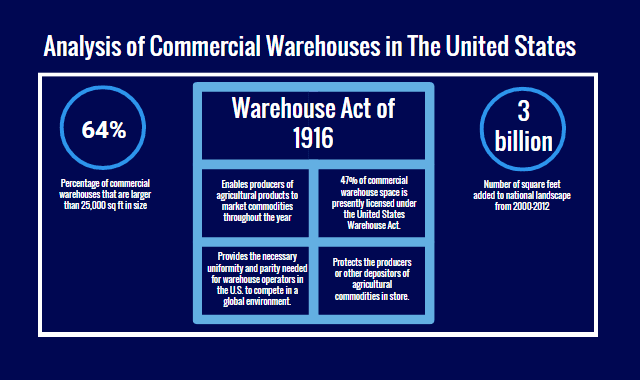 A wide variety of information is covered in this infographic ranging from size of warehouses, to federal laws covering and governing these warehouses, and the purpose of many warehouses in America across each industry and business vertical. 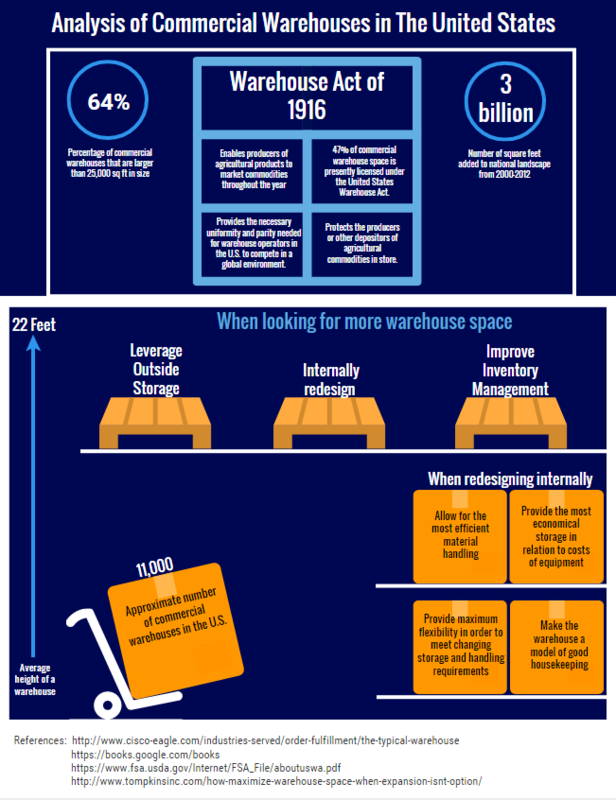 Furthermore, the infographic deals with different methods of using warehouse space as well. As the goal of the infographic is to inform warehouse managers, the second half of the infographic is devoted over to different methods of enhancing your existing warehouse space, making the most of the warehouse you currently use, as well as how to get additional space to store your most important items. With this infographic we hope to provide a wealth of information regarding warehouses to both current warehousing industry professionals, curious onlookers such as business school students, and everyone in between. For more information on the American warehousing industry, check out our blog at the Shelving, Inc. website at http://blog.shelving.com.